In the advertising world much of a message is lost in the delivery. Other times an advertisement is so unique that it can really give a “that is cool” aspect on the message delivery. This can be a message that will stay in the mind of the viewer for quite a long time. Through the right advertisement message, the brand can stand out no matter what. Take for example Nike, and their branded message, “Just Do It”. That simple statement is their branded image, that when seen or said, reminds me of Nike. 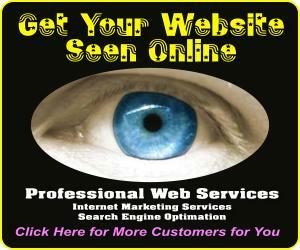 Internet marketing is about interactivity. Many times this interactivity is designed to bring a reader to take the next step. For example, when a Web advertisement is created with the intention of taking a person to a landing page with additional information, this is only one step in the conversion process. The conversion process has many small steps along the pathway to having a interested party become a active prospect, and then into a paying customer. They may need to become better informed prior to ever contacting the company. This could extend out several website visits and/or months of time. If the subject matter is quite involved, then there might actually be a need to educate the prospects on the various aspects of the business before they are to even consider calling or emailing you. A website can be an excellent way of doing this. But, many times a website is a very static environment. Static in the sense that the information just sits there with little interactivity taking place with the reader. A website needs to have a certain degree of marketing creativity to really spur the conversion process on toward filling the need of the customer, even if the customer does not now understand their need. I have read some great information on the Internet ever since I had my first Apple Power PC 6100 computer in the mid 90s. Today, there are some excellent stories online, but some are quite static in their nature. The simple hyperlinks are missing. The writer knows all about the subject matter, but assumes the reader does too. The research for the story could have been built right into the writing with simple hyperlinks to other pages with relevant information, in which the reader would be able to find out more about a particular subject. In the online advertising world, the same static message often applies on the landing page (page transported to when clicked). There is no interactivity built into the web page. The reader is often times left hanging and saying to themselves that was interesting but I did not understand what all the words meant. The advertiser assumed that a reader would automatically know what the details are. This sometimes can be a wrong assumption. Most advertisements online have been designed with a static delivery system. For example when an advertisement message is shown, by either the words displayed or the graphic image on a website, only one of two courses of action can take place. Either, a reader can move their mouse over the Ad and click, OR not. Up until recently, those were the only two choices. I believe that a new and different type of advertisement strategy could offer much more interactivity then previously thought. Instead of two choices: One to click, Two to not; we could have far more choices in a single Ad through a new type of menu system built right into the ad itself. For example, a single graphic ad could have different areas that are hyperlinks for taking a reader to unique content pages for each specific category. Let’s say that Best Buy, one of the largest consumer electronics retailers, is running a special on televisions, and at the same time also has sales discounts on a certain line of laptop computers. By building in a menu area on the graphic image, with several different categories the reader could be transported directly to that specific landing page from one single advertisement. This would have the unique benefit of taking out at least one extra step out of the conversion process. Because, when a reader clicks on an ad for a multitude of products, they then have to weed their way through the forest to get to the page they were most interested in, in the first place. Sure, Best Buy could make up lots of different ads for each specific targeted market, but with hundreds or thousands of consumer products why not take them there with a menu system now. OK, so maybe my strategic advertising and marketing plan is way out there, but just imagine the sales possibilities. Professional Web Services, Inc., Online Advertising Strategies, Internet Marketing Services, Web Branding Solutions To Provide More Sales For Your Business.